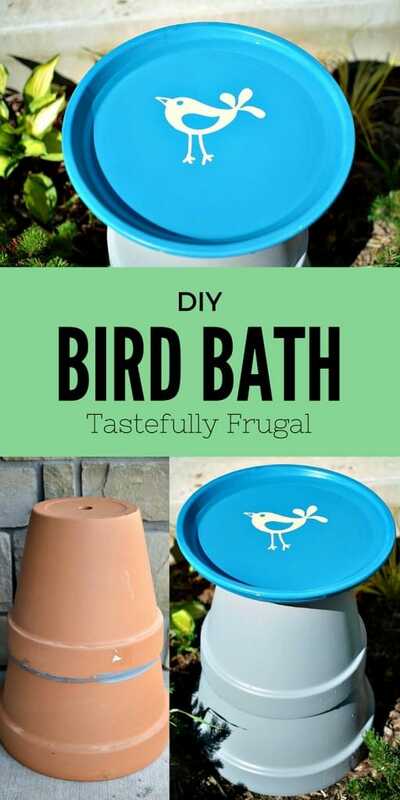 Make your own personal bird bath this weekend with a few terra cotta pots. Who knew pregnancy could drive your creativity and imagination?! I thought that my list of projects would decrease while I was expecting. Boy was I wrong! The list of things I want to build, paint and redecorate has actually grown significantly. Unfortunately, my ability to do all these things hasn’t. It’s a good thing I have a supportive husband who doesn’t mind doing projects every weekend. I may be a little overprotective of our little girl already, but I want to stay as far away from anything, that could hurt our little princess. That means that most of the time Jeremy is out front building our projects while I watch from the window. I want to make sure that we have a welcoming and relaxing space inside to enjoy after the days’ hard work. 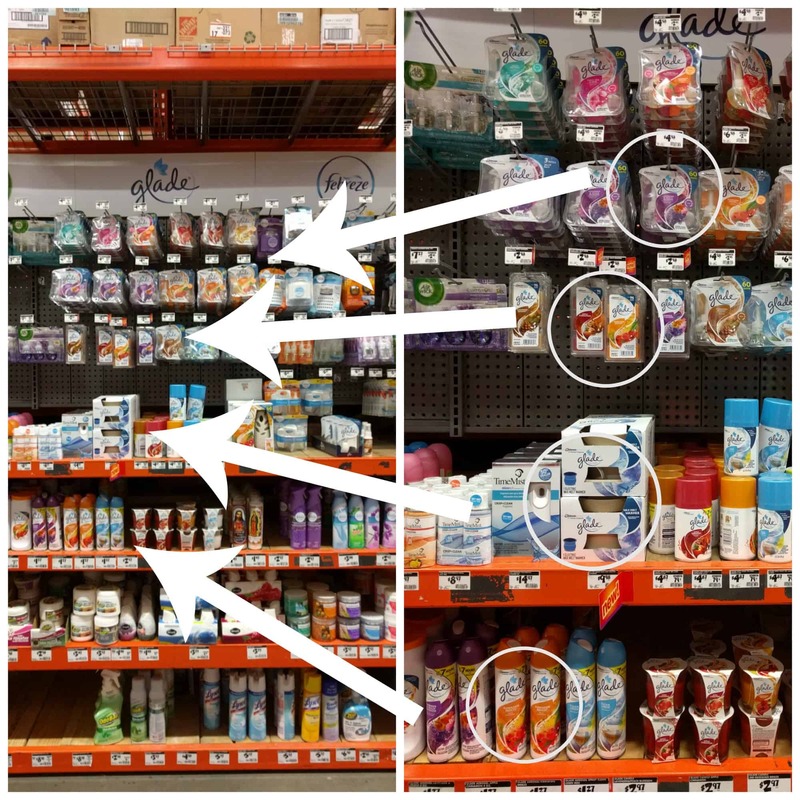 So when we were at Home Depot picking up supplies for our latest project I walked down the cleaning aisle and saw all the Glade® products. We smelled a few of the scents and both decided Hawaiian Breeze® was our favorite. The mix of tropical fruits and beachwood reminded me of the beach-ey vacations we took before we had kids. We picked up a Glade® Room Spray, some Wax Melts and a PlugIns® Scented Oil and went on our way to find the rest of our supplies (listed below). 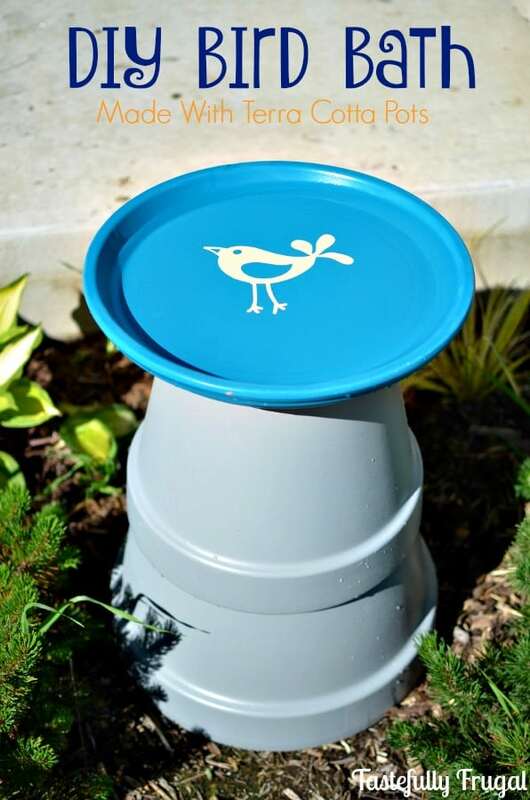 This bird bath was so easy to make and my boys (and me too) love watching the birds come up to the porch during the day. The best part is you can finish this project in just a few hours (not including dry time). 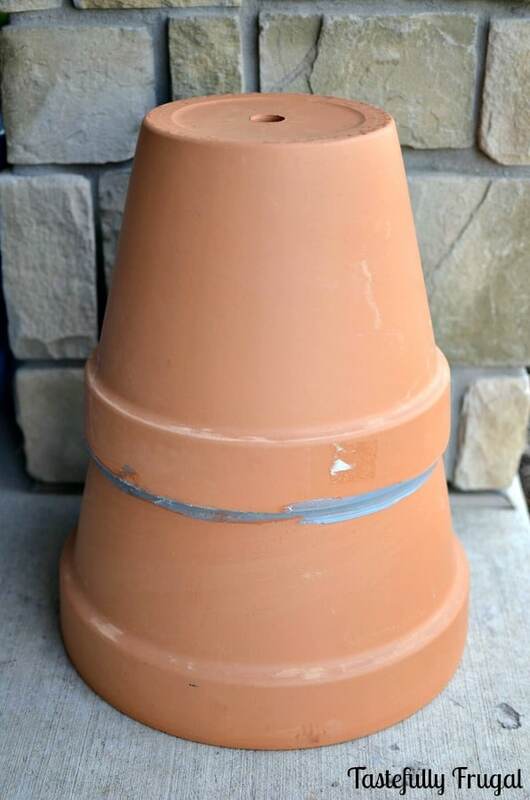 Put 16″ terra cotta pot upside down and place 14″ pot on top and draw a line where the smaller pot rests on the larger pot. 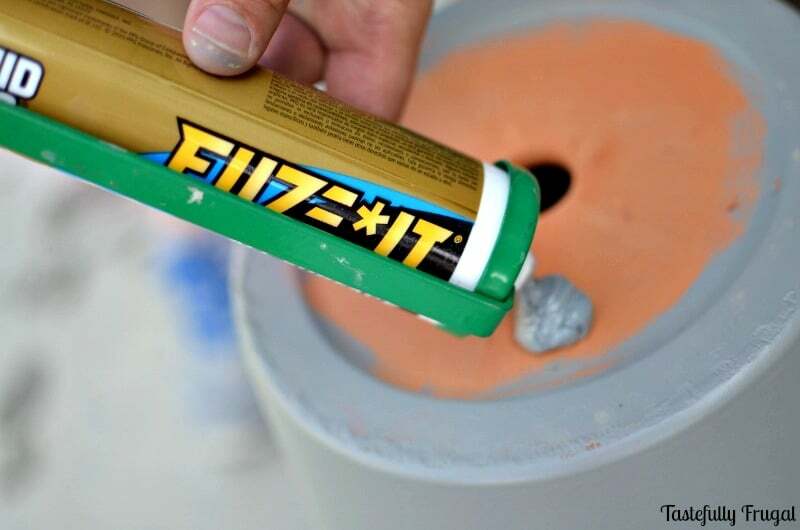 Remove the 14″ pot and put liquid nails just above the line you drew on the 16″ pot. 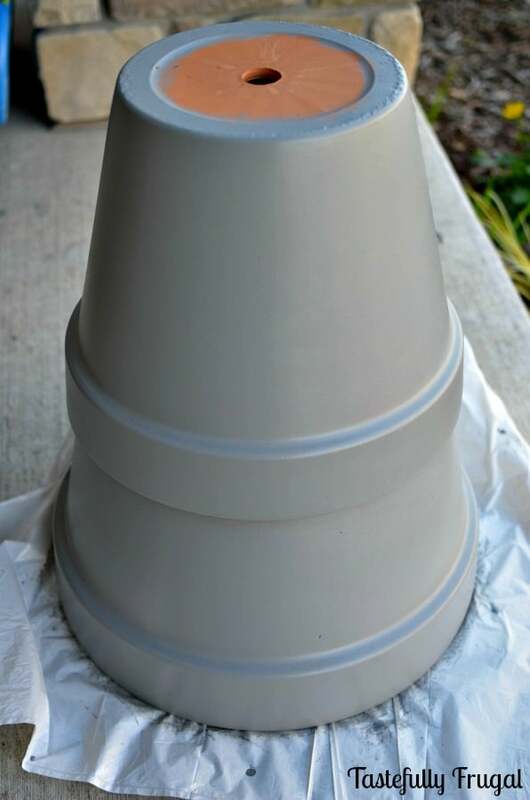 Place the 14″ pot back on top of 16″ pot and use level to make sure they surface is level. If not quickly adjust by wiggling the 14″ pot until it’s level. You’ll want to do this with in a minute or two before the liquid nails set up and you can’t move the pot. Let set up for at least one hour. 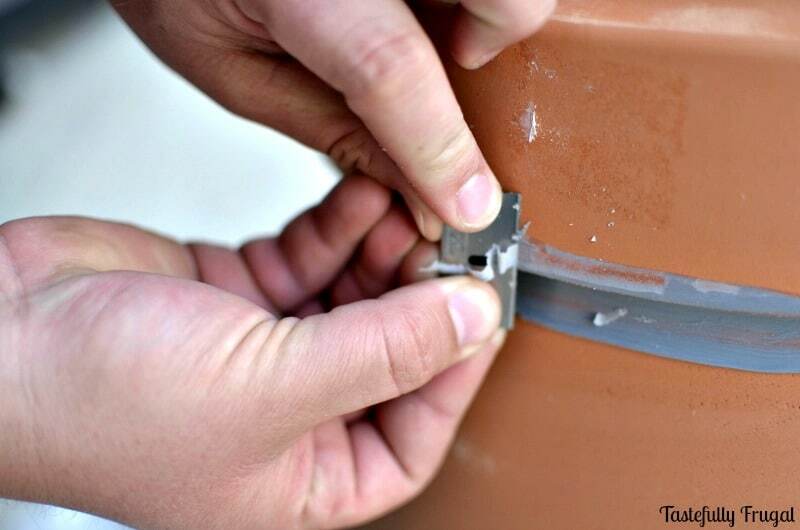 If you have liquid nails that squished out from the bottom of the 14″ pot use a razor blade to cut excess liquid nails off. Paint pots grey and let dry over night. 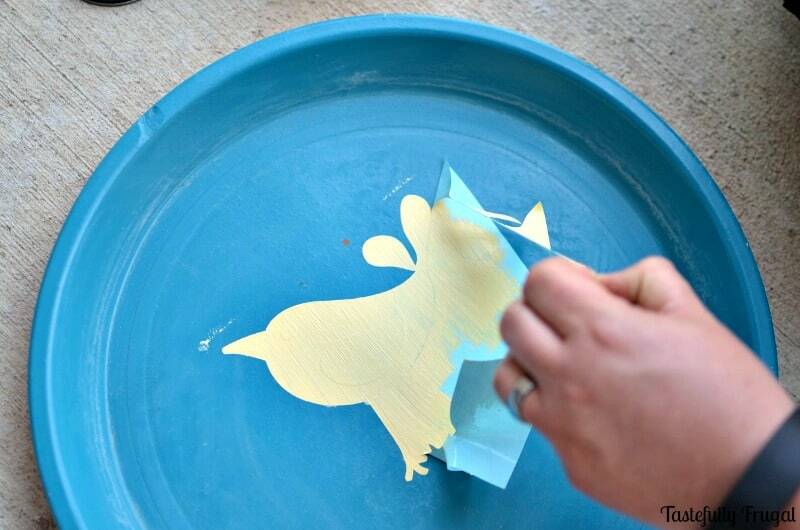 While pots are drying use teal paint to paint the saucer. As we waited for the paint to dry, we plugged in our Glade® PlugIns® Scented Oil in Hawaiian Breeze® fragrance, sat back and relaxed. Let saucer dry overnight as well. 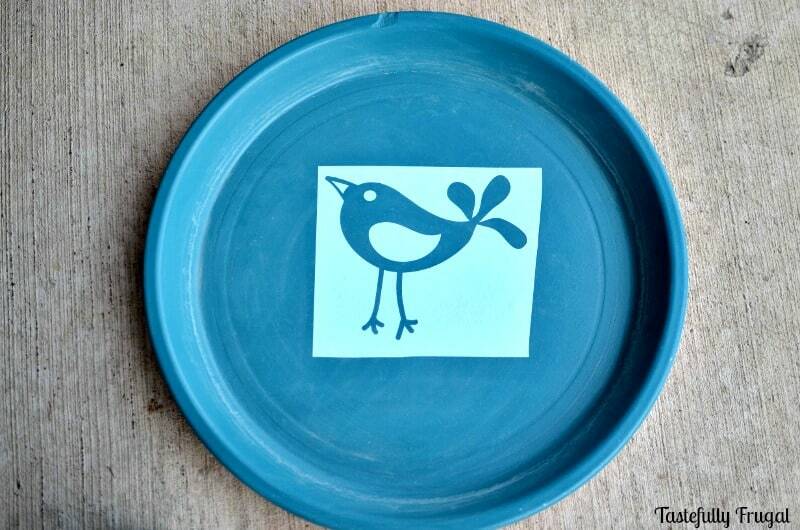 When the saucer is dry place bird stencil (I used my Cricut to cut my stencil. 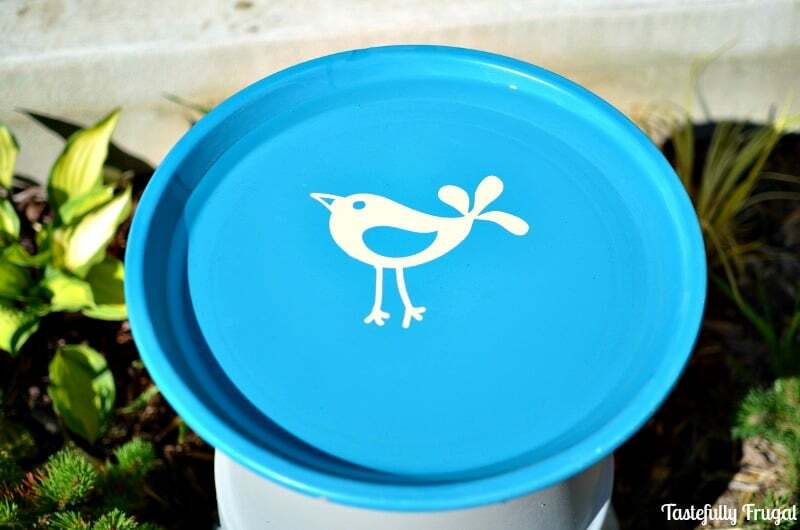 You can click here and cut the same stencil) in the center of saucer. We did ours a little off center so that we could see it from our porch. 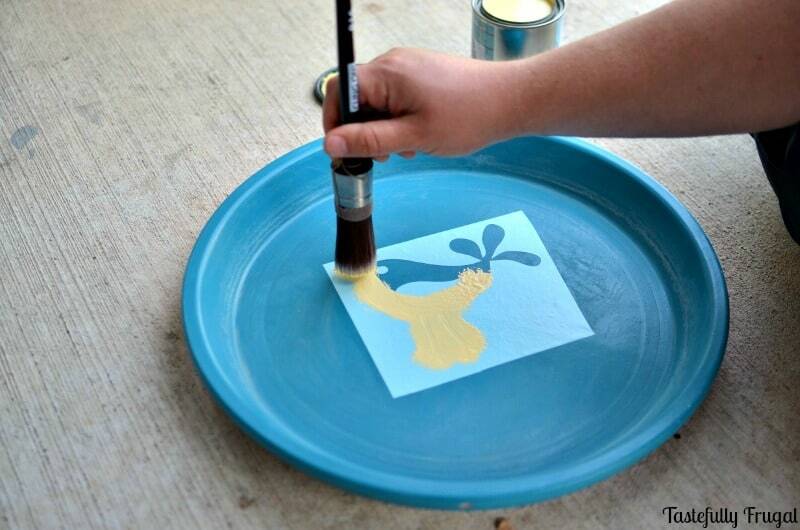 Use yellow paint to paint stencil. Remove stencil immediatly. 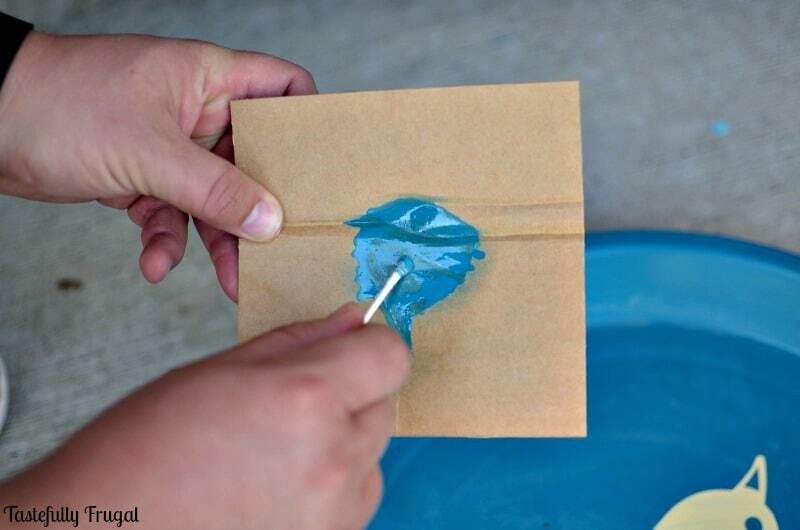 If stencil removes some of the blue paint, or if you have yellow paint that ran through stencil, spray some teal paint on to a piece of cardboard and use a q-tip to fix spots. Use liquid nails on top of 14″ pot and place saucer on top. Use level to make sure the saucer is level on top. If it’s not adjust so that water will sit evenly when finished. 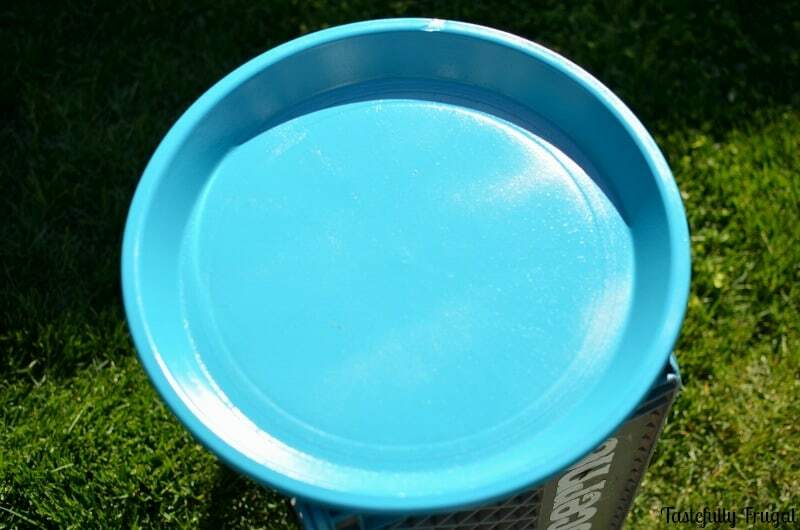 Let stencil and paint on saucer cure for 7 days before adding water. Now, with the help of Glade® we can sit in our living room watch the birds and let our memories sail back to our Caribbean vacation as we watch the birds play in water. What projects are you working on this summer? For more decor ideas visit www.Glade.com and check out their social handles at Facebook, Pinterest, Twitter and Instagram!